Chelsea are lining up former Real Madrid manager Zinedine Zidane as the long-term successor to under-fire head coach Maurizio Sarri. The Italian's job security has been questioned in recent weeks after their promising start to the season nosedived, while Sunday's 6-0 defeat against Manchester City has many believing that Sarri is destined for the chopping block. The Sun claims that Chelsea's decision makers are losing their patience with Sarri after the club dropped bellow Arsenal in the Premier League table. It's added that discussions have been held at the highest level of the club over a new head coach and that now it's a matter of when Chelsea make their move for Zidane. They believe that the former France international midfielder can help them become a European superpower once again, having guided Real Madrid to three consecutive Champions League winners medals. 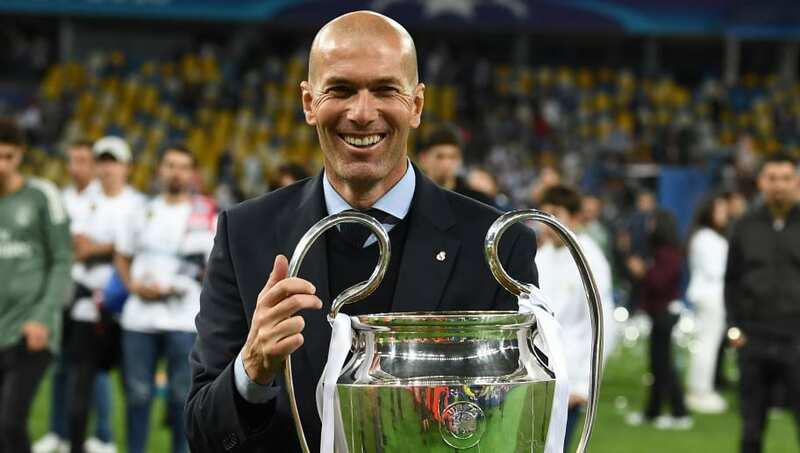 The 46-year-old has only ever coached at Real Madrid - he does still have ties toFrench third-tier side Rodez AF - but he did earn his stripes in various ranks of their infamous Castilla system. Zidane spent these than three years at the helm at the Santiago Bernabéu before taking a decision to step away at the end of last season. Since his departure, Real Madrid have already sacked Zidane's replacement Julen Lopetegui and are now believed to be considering who could replace Santiago Solari in the dugout at the end of the season. Although Zidane is unlikely to bring the same level of longevity to the club that fans would hope for, he would become their longest serving manager in over a decade if he stays in west London for three full seasons.